After a significant delay, Cambridge University made known the name of Michael Green‘s successor at the Lucasian chair. 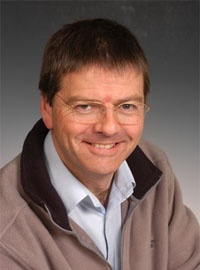 The 19th Lucasian Professor is Michael Cates, Professor at University of Edinburgh and Fellow of the Royal Society. Professor Cates is worldwide known for his researches in the field of soft condensed matter. It is a well deserved recognition and one of the best choice ever for this prestigious chair. So, we present our best wishes to Professor Cates of an excellent job in this new role. You are currently browsing the The Gauge Connection blog archives for March, 2015.